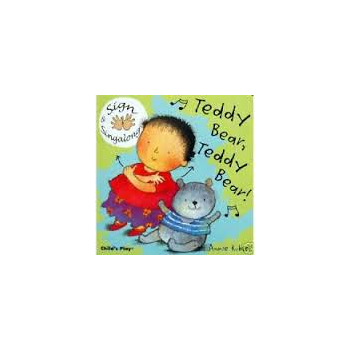 Teddy Bear, Teddy Bear Signing (Board Book) - Children are able to communicate by signing before they develop the skills necessary for speech. By teaching simple sign language to children from as young as eight months, we can help them to convey their emotions and their needs. When children begin to talk, having sign language to fall back on provides a comforting safety net. Add to the fun of signing by singing well-known nursery rhymes and songs. Even proficient speakers will long enjoy signing to a favourite song or rhyme. Simple and clear signing instructions allow anyone to join in.